Individuals who resolved to eat healthier when the New Year rolled around scan the streets of New Orleans for an option that has them leaving healthy, happy and full. On the corner of Magazine and Sixth Streets, surrounded by the artwork of locals, the custom-made LemonShark Poké street tile, the scent of fresh tuna and the smiles of childhood best friends, Spencer Rossie and Teddy Amar, greet those seeking the healthy and fresh tastes of New Orleans and Hawaii. 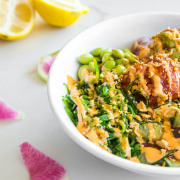 After going through kindergarten together and living as college roommates at Louisiana State University, Amar and Rossie decided to combine their skills and express their love of the healthy Hawaiian dish by opening a restaurant on Magazine Street. 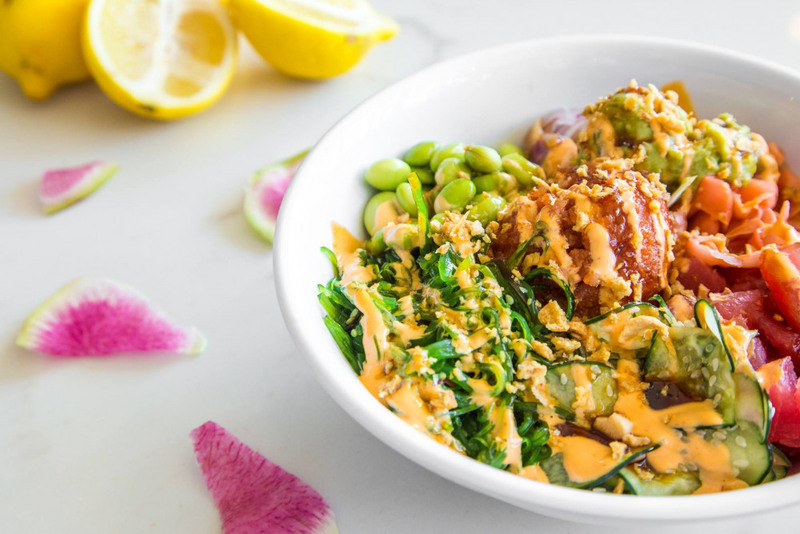 Less than a year after discovering Poké, Rossie and Amar teamed up and opened LemonShark Poké. However, with their roots in New Orleans, the two decided to put a New Orleans spin on their Hawaiian cuisine restaurant and make it as local as possible. 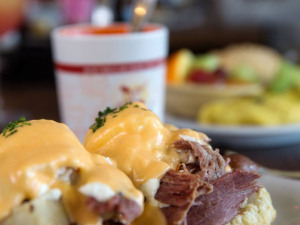 The restaurant carries Big Easy Bucha, a kombucha brewed in New Orleans, and Eat Fit King Cakes, which are gluten-free, grain-free, low carb and keto-approved, providing an option for a guilt-free dessert. “We pride ourselves in only sourcing from sustainable fishing practices,” Rossie said. Several hand painted trays also boast the talent of local artist Ashley Longshore, depicting both Lil’ Wayne and Audrey Hepburn. Even the LemonShark street tiles are authentic. “I actually tracked down the guy who makes them for the streets and asked him to do it so it’s really authentic,” Rossie said. 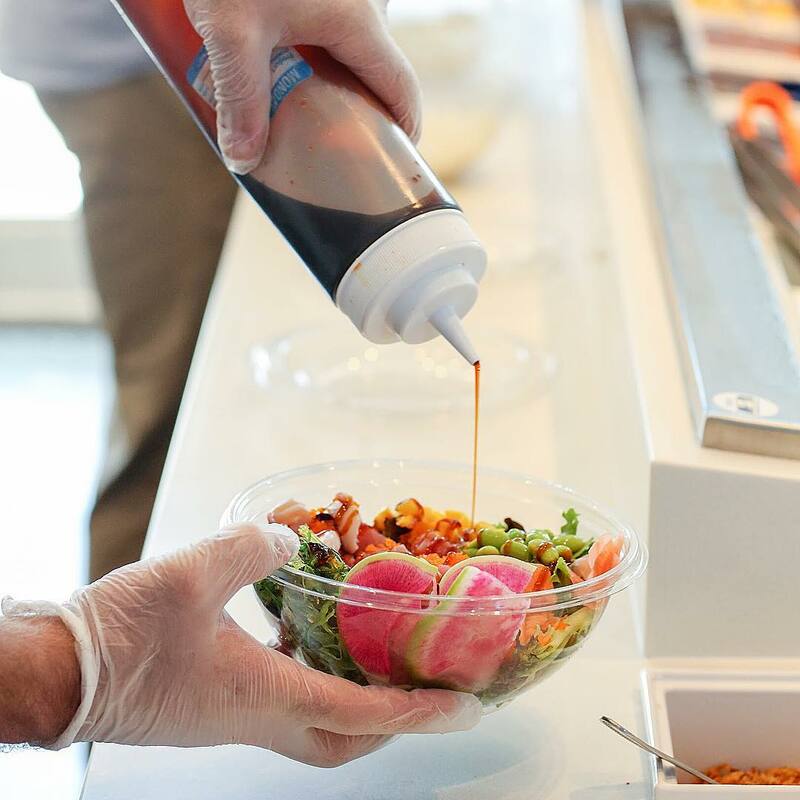 Because the majority of LemonShark Poké’s menu is Eat Fit Nola approved, customers can pack their bowls full of forbidden rice, spicy salmon and house-made cucumber salad and not feel guilty, making the New Year’s Resolution to eat healthy easy.